Why not use Krazy Kidz for your child’s party. 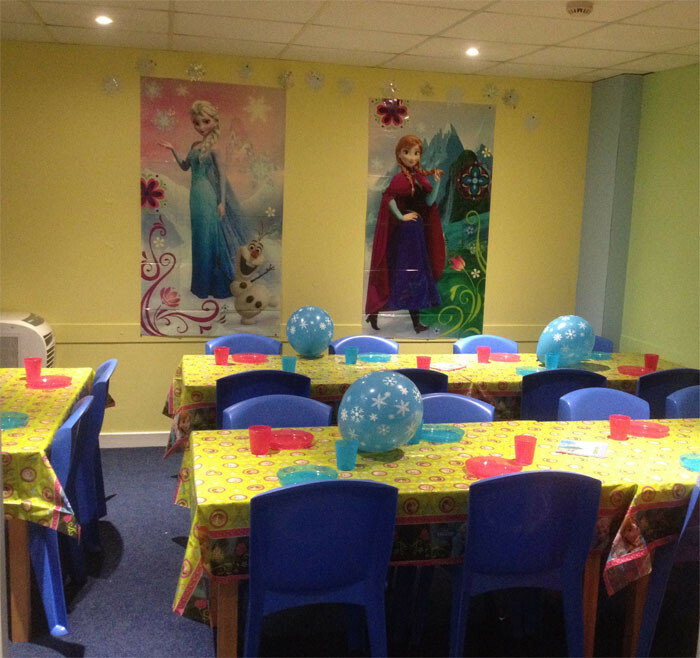 All party packages include an hour and a half in the soft play area and half an hour in the party room for food. Parties are £10 per head, are for age 12 and under and we can cater for groups of 10 to 35. Parties can be booked 7 days a week. Birthday Cakes and party bags are not provided by Krazy Kidz. We offer a choice of either Sandwiches or Wraps, with a choice of 2 fillings: cheese, ham, tuna, egg or jam. Cocktail Sausages, Pizza, Sausage Rolls, Carrot Sticks, Cucumber Batons, Grapes, Strawberry’s and a selection of Crisps. For dessert we offer Jelly and Ice Cream or Crispy Cake. Food choices should be selected at time of booking. Themes include: Minion, Star Wars, Frozen, Ninja Turtles, Hello Kitty, Disney Princesses, Shopkins, My Little Pony, Peppa Pig, Monsters Inc, Spiderman, Spongebob, Fireman Sam, Football and Knights. A £50 deposit is required at the time of booking which is non-refundable, but is transferable to a different date if available. Parties should be paid for in full 48 hours prior to the party date along with confirmed number of children attending.